In his third letter of correspondence with Samuel Clarke, Leibniz outlines his position on the nature of space. Contrary to Newton, and Clarke who defends him, Leibniz holds that space is “something purely relative” (14), that space is not a substance or a thing that exists, but rather the relationship between the objects it seems to contain. Suppose that there is absolute space. Whence, when God placed objects within space, there was no reason for him to place objects in a particular area of space and not in another, or in a different orientation. Hence, the placement of objects in the universe is arbitrary. But, according to the principle of sufficient reason, nothing is arbitrary. But this is absurd, so (1) must be false, and there is no absolute space. If one accepts the principle of sufficient reason, it seems that one is committed to accepting the argument. Leibniz argues that as long as space is an absolute entity, it is impossible to imagine that the placement of objects within it is anything but arbitrary. The contents of the universe could be rotated by infinitely many degrees inconsequentially, and the reason that it takes any particular orientation cannot be explained causally. Notably, this does not entirely depend on Leibniz’s metaphysical claims about God. 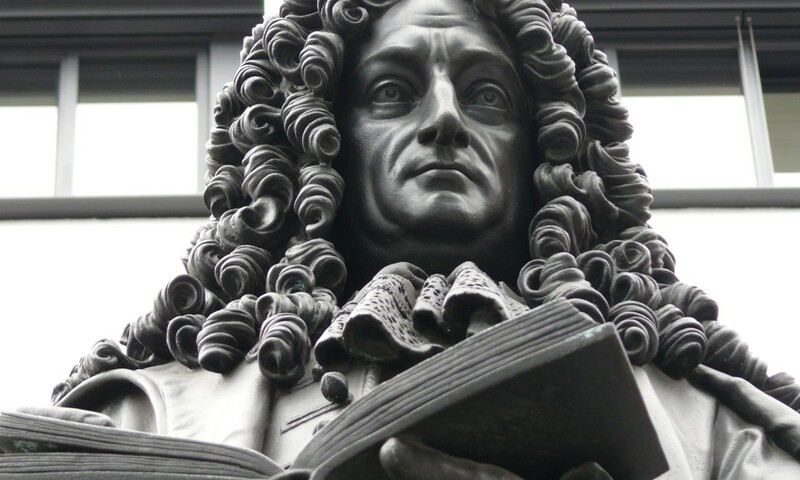 Although, for Leibniz, it is through God’s reason that things happen, the principle of sufficient reason can also be interpreted as referring to causality, claiming that nothing is uncaused, entirely spontaneous or arbitrary. Hence, if space is absolute then the orientation of matter within it is arbitrary. This directly contradicts the accepted principle, and so space must not be absolute. The identity of the different universe orientations prompts Leibniz to write that “there is no room to inquire after a reason for the preference of one to the other” (15). This can be taken to mean that the very notion of absolute space is therefore meaningless, since we are left with infinitely many configurations and no reason to prefer any one. It seems to me that there’s a refutation to this last point. If all of the possible orientations of matter in the universe are in fact identical, then there is in fact reason to for the selection of the current orientation of the universe. For if all universe orientations are identical, then there is exactly one universe orientation – that is, the orientation of the universe is the necessary one. The choice of orientation is necessary rather than arbitrary and therefore it is not in conflict with the principle of sufficient reason. Source: Leibniz, G. W. and Samuel Clarke. Correspondence. Ed. Roger Ariew. Indianapolis: Hackett, 2000.